The Promotion to Conference feature allows a local conference that hits the 7-participant limit to accommodate more participants. This feature is available on the AT&T Office@Hand Desktop App. A local conference is when you add people directly to the call on the Office@Hand Desktop App. These calls are reported as oneon-one calls in the call log and are limited to 7 participants. With the Promotion to Conference bridge feature, Users will be able to increase the number of conference participants when necessary. This offers service with its own dial-in number that doesn’t have such limitation. 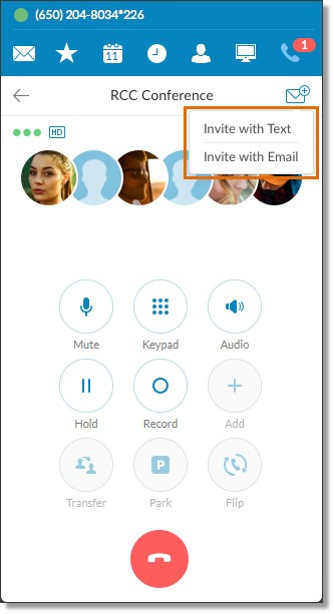 This feature will also eliminate the need to manually end an ongoing call and create a new conference bridge when the local conference reaches the 7-participant limit. Two (2) coworkers on a one-on-one phone call require immediate feedback and decide to invite additional team members to their call. One-on-one phone calls that turn into ad hoc conference calls are enabled to support the increased number of participants. When the local conference hits the seven (7)-participant limit, the Promotion to Conference bridge feature will be available right after the local conference call is created. 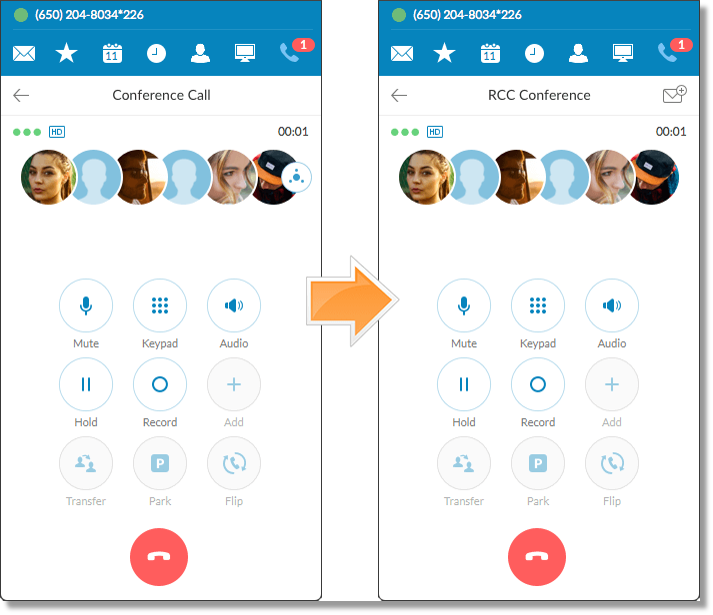 All Users from the local Conference Call will be automatically transferred to the Conference bridge. The invite to conference button will be visible on the Office@Hand Conferencing screen. Click the button to invite more participants with email or text.